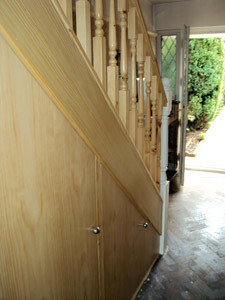 Fitted new newel posts, handrails, base-rails and spindles on stairs.
" Colin did a very good job and was helpful at all times as far as our requests were concerned. We will certainly be using him again and would not hesitate on recommending him." - Customer in Twickenham.
" Excellent carpentry work on window job. Plus repair of garden wall and painting of extensive rear perimeter fence. Everything looks good. Have no hesitation in giving a recommendation." - Customer in Twickenham. Make good and decorate after fitting. Painted skirting and made electrical box.
" Colin was accurate in estimation of work and courteous regardarding when work would be completed clean and quality of work is great would recommend highly. I would recommend this company." 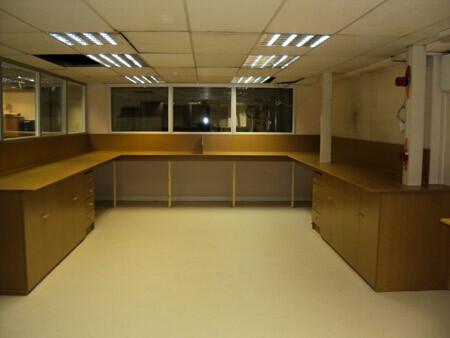 " Very pleased with quality of carpentry." - Customer in Epsom.
" 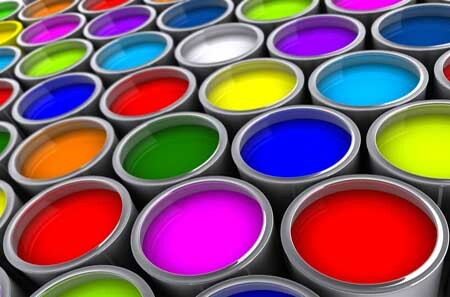 Very efficient work: excellent clearing up: friendly service. I would recommend this company." - Customer in Twickenham.
" This is the second time we've used Active Property Care. Colin and Steve produce a quality finished job on schedule at the agreed price. 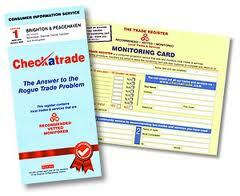 These tradesmen are well organised and very competent. Shall have them for more work this year." - Customer in Twickenham.
" 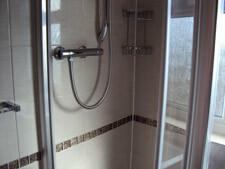 A good job with an excellent finish, clean and tidy at all times, completed on time and budget." - Customer in Acton.
" Also 2 new doors were made and fitted to garage and side of house, excellent workmanship." - Customer in Middlesex.
" These jobs were all in addition to our original estimate, nothing was too much trouble. We can't praise them enough." - Customer in Hounslow.
" Delighted with these workmen. Would recommend to anyone." 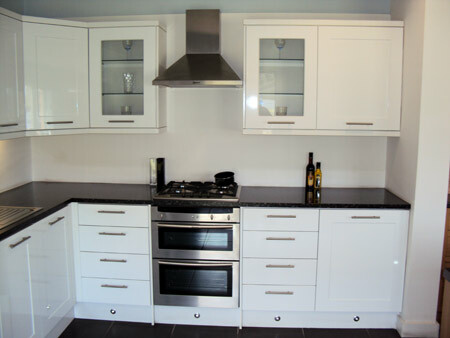 " As well as the above they were extremely helpful and friendly. Will recommend the company with no reservation." - Customer in Twickenham.
" Very satisfied in every way. Would recommend." - Customer in Twickenham. Active Property Care has been serving homeowners and businesses in West London, South West London and surrounding areas and counties for over 30 years with craftsmanship to the highest standards. 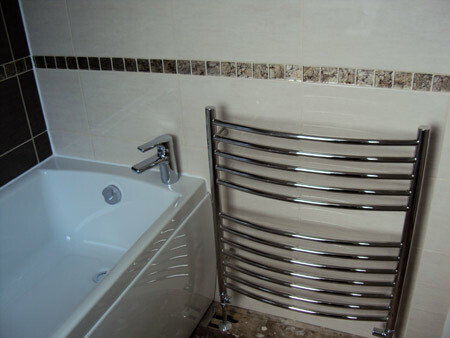 Whether choosing a plumber to repair your leaking tap or carpenter to fit your bedroom wardrobes or kitchen units , you need a company you can trust. 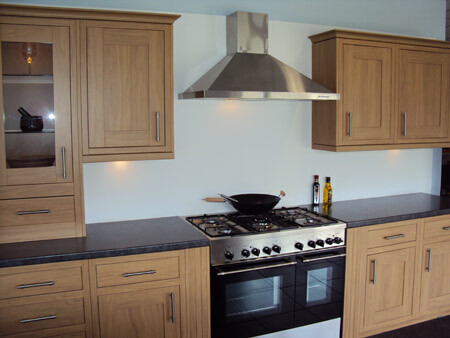 We use high quality materials to create all our wooden furniture to ensure a top quality finish. Bespoke furniture is often the most satisfactory and aesthetically pleasing solution to solve storage issues within the home or office. We can advise you on some great design ideas when it comes to storage and can build custom fit cupboards, wardrobes, bookcases, display cases, alcove units, work benches, under stair cupboards, staircase upgrades and computer work stations into your home or office. 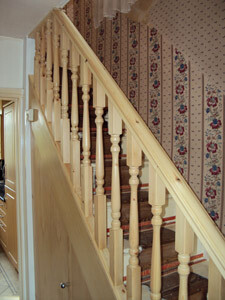 We also carry out staircase upgradesand renovations including newel posts, handrails, base-rails and spindles. We can supply and install fitted bedroom furniture and offer a planning and design service , we will deliver a perfectly co-ordinated bedroom to enhance the sense of space. 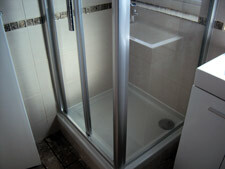 We are experienced and cover a complete range of plumbing services. Whether you need a tap washer replacing or completely refitting a bathroom we are committed to provide the highest quality service, from the free estimate right through to tidying up at the end of each job. The team is dedicated to providing you with the service that you require. Our experience has taught us that cheap materials can be a false economy; for this reason we recommend high quality products to our customers that work better and last longer. Exterior work such as fencing and patio decking, entrance gates, shed installation and repair is among the many carpentry tasks we carry out.